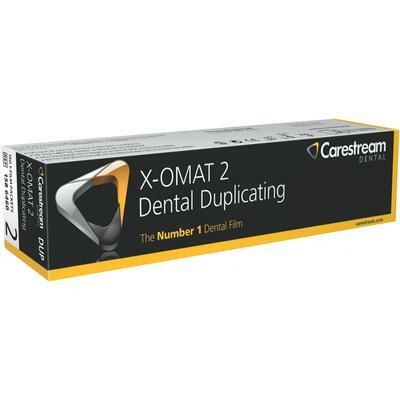 X-Omat 2 Dental Duplicating Film - Carestream Health Inc.
X-OMAT 2 Duplicating Film is used to produce duplicate radiographs with excellent fidelity for a variety of functions including accompanying patient records with referrals and transfers, documenting insurance claims and serving as aids for patient communication. It is designed for automatic processing in dental processors, but can be processed manually in emergency situations. Unlike X-ray film, this is a direct-reversal film where longer exposure times produce lighter images and shorter exposure times produce darker images. Size 2, 1-1/4" x 1-5/8"